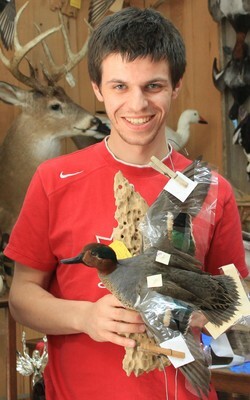 My name is Pavel Visnak and I offer taxidermy of all kinds of birds and mammals for the museum and trophy purposes. I attended many taxidermy seminars around the world. 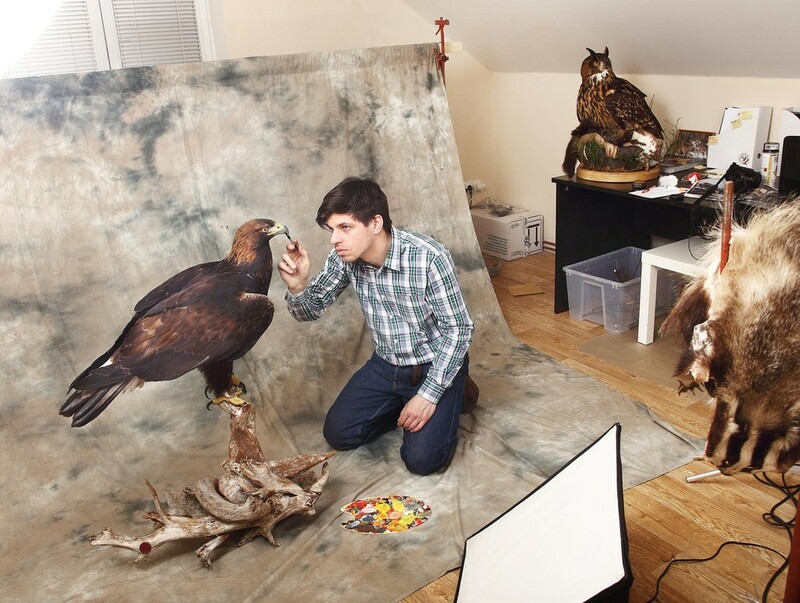 I´m a winner of many prestige awards from the World Taxidermy Championships and the European Taxidermy Championships. With taxidermy I first met at the Secondary Forestry School in Trutnov. During my studies, I attended course with Mr. Rolecek and outside of school, I learned from Mr. Knizek. I was already sure that this activity is for me very interesting. After successfully graduating at high school in 2008, I joined the Faculty of Forestry and Wood Sciences at the Czech University of Life Sciences Prague program Game Management. In my free time I have educated in taxidermy not only by myself, but also I gained knowlege from professional taxidermist. In 2011 I spent some time in Mr. Franc studio, where I first looked into the large professional workshop in the country. At that time I started a cooperation with him, this still continues. After finishing University in Prague I spent one year studying at the Technical University of Munich program Forest and Wildlife Management. Part of the study was more then two-month internship in the USA. Over there, I have stayed by very good taxidermist Kimberley Kuenzel. In this time I began to compete in international competition, and actively starded to learn taxidermy from world champions. That helped me to get a different view on the taxidermy, than that is set in the majority taxidermist in our country. Even for that, I saw many other foreign workshops and met with taxidermists from different countries. Each professional has a different view of this craft-art. That's why I always tried to pick something that attracted me and what could be a benefit in my practice. At the most prestigious competitions of the world, I began to win awards and here I also recognized what about the master taxidermy really is! Therefore, my taxidermy attitude is completely different. It is very important for me to keep improving and not stagnate. I do study life animals, reference pictures, which I archive, and in some cases I draw. In this way I can better remember the positions and shapes of the various parts of the animal. In addition, of course, I monitor developments and trends in taxidermy, it changes every year. Also I do participate seminars on the European and World Competitions, where I can exchange knowledge with my colleagues. All of this allows me to gradually improve and achieve my goal. I offer first-class taxidermy for the corresponding prices!